Nelson Ireson July 25, 2012 Comment Now! Following an early reveal late last night, Audi has now released the full images and details for its updated R8 supercar, which sails into showrooms early next year. The big news is the availability of a new seven-speed S tronic dual-clutch transmission across the R8 range, with Audi finally deciding to do away with the clunky R tronic automated manual that plagued the previous model. A conventional six-speed manual is still available on some models, however. 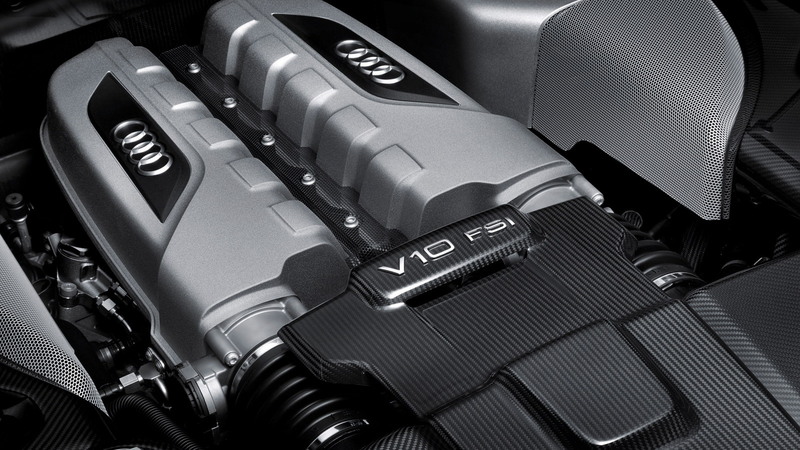 The other major update is the addition of a new range-topping R8 V10 plus model. At the front of all the new R8s we can see a revised headlight design, with the daytime running lights slicing through the center, and a slightly different overall shape. The grille remains very close to the current model, as do the side air dams and splitter, though these too are new. As an option, Audi installs a front splitter made of carbon fiber (standard on the R8 V10 plus). All R8 models also benefit from LED headlights as standard. The individual diodes for the high and low beams have been placed above and below the strip-shaped daytime running lights, which are specially actuated to serve as indicators. In addition, static turning lights are integrated in the headlights. At the rear, more LED detailing can be found, including around the engine bay. The indicators for the tail lights also light up in pattern towards the outside of the unit, in the direction the driver wishes to turn. Finally, all models have the same twin exhaust pipe design with a glossy finish, though the pipes on the R8 V10 plus are painted black. The engine lineup is still much the same, with the base 4.2-liter V-8 unit delivering 430 horsepower and 317 pound-feet of torque. 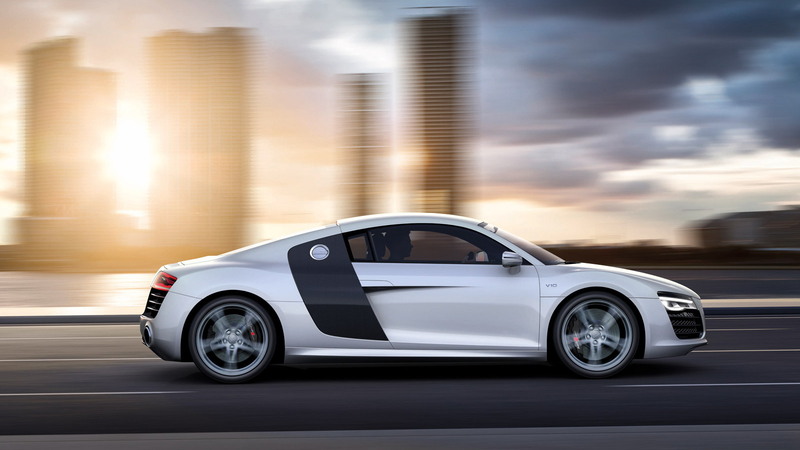 Matched to the seven-speed dual-clutch transmission, this engine will rocket the R8 to 60 mph from rest in around 4.3 seconds and see it reach a top speed of 186 mph. For the R8 V8 Spyder the corresponding values are 4.5 seconds and 186 mph. The 5.2-liter V-10, meanwhile, continues with its rating of 525 horsepower and 390 pound-feet of torque, which when matched with the dual-clutch transmission sees the R8’s 0-60 time drop to just 3.6 seconds. Top speed is also raised to 195 mph. The corresponding figures for the R8 V10 Spyder are 3.8 seconds and 193 mph. 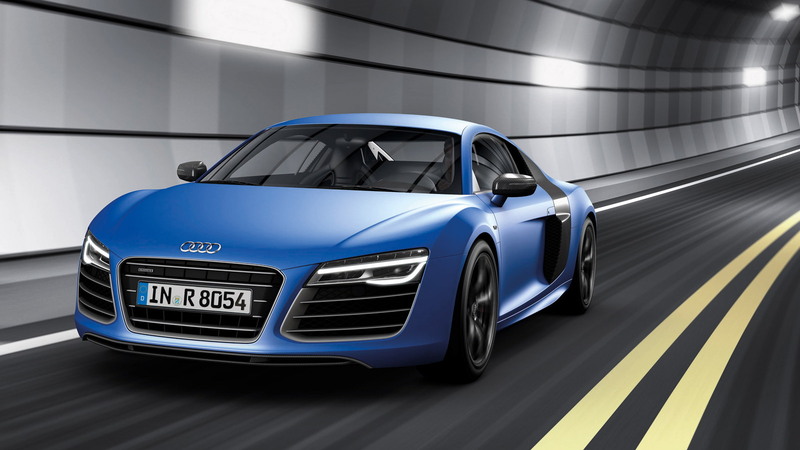 The new top model of the range is the 2014 Audi R8 V10 plus. Developing 550 horsepower and 398 pound-feet of torque, this model, which is only available as a coupe, sprints from 0-60 mph in just 3.5 seconds and reaches a top speed of almost 197 mph. While all R8s get double wishbone suspension forged from aluminum, on the R8 V10 plus the springs and shock absorbers have been specially tuned and the camber values at the front axle adapted accordingly. The Audi magnetic ride adaptive damping is standard on the R8 V10 and optional for the V8 variants; it offers a normal mode and a sports mode. You’ll be able to notice the R8 V10 plus by its blackened elements all around, additional aero aids, and custom wheels. 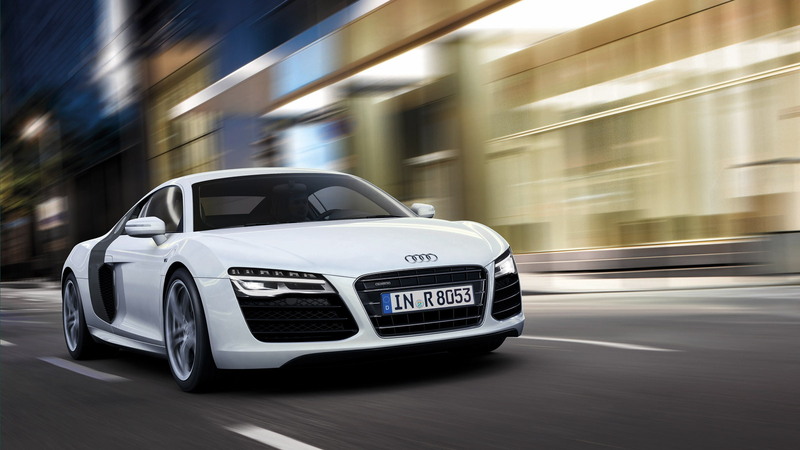 The lightest 2014 Audi R8 model, the R8 V8 coupe equipped with a manual transmission, tips the scales at 3,439 pounds. Options to help lower the weight include light alloy wheels, carbon fiber sports seats and carbon ceramic brakes. 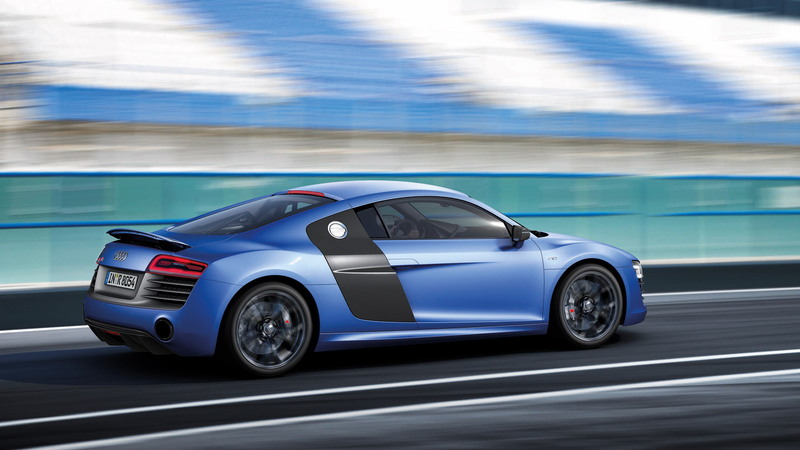 The drag coefficient for the R8 is 0.35 or 0.36 depending on the engine version and body shape. Inside, you’ll find 8.69 cubic feet of space, a leather-trimmed multifunction sports steering wheel, electrically adjustable sports seats and fine leather and Alcantara trim. Note, on the R8 Spyder models a special pigmentation of the surface trim reduces heating from direct sunlight. The R8 V10 and the R8 V10 plus come with Audi’s navigation plus with built-in hard drive and a Bang & Olufsen premium sound system as standard. Other goodies either standard or available include a high-beam assistant, a stowage package, various travel case sets, a camera-based parking system. Stay tuned for pricing and availability details closer to the updated car's launch early next year.